In a time when global human consumption exceeds the planet’s annual production capacity, it is urgent to address and change those patterns of consumption. 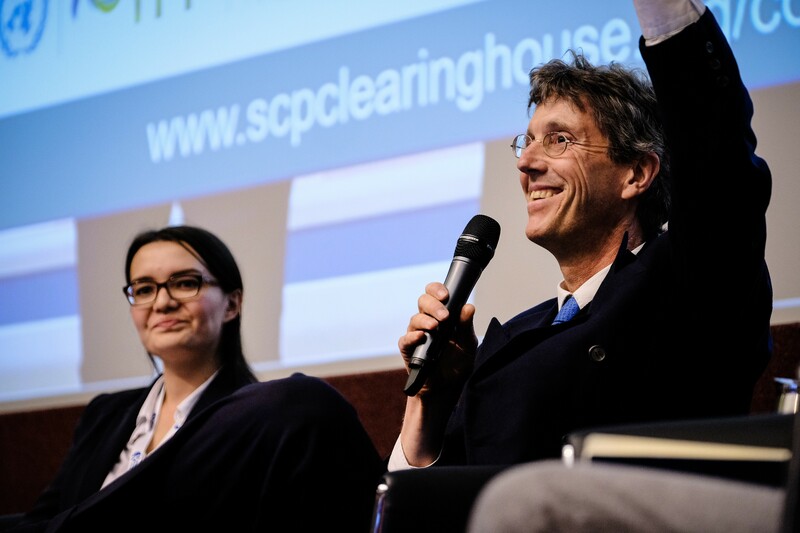 After two years of research and collaboration, with inputs from over 125 organizations, UN Environment and the International Trade Centre (ITC) launched the Guidelines for Providing Product Sustainability Information on 25 October, during the World Resources Forum 2017 in Geneva, Switzerland. According to EU market research, 84% of EU citizens include environmental considerations in their purchasing decisions, however, only half of them currently trust manufacturer and retailer claims about the environmental performance of their products. But it is not only the consumers that are challenged. As Regina Taimasova from ITC pointed out, producers today, besides mandatory regulations, have to comply with a plethora of sustainability standards. Again, it is extremely important that these standards and labels convey the right and reliable message to consumers in order not to break their trust in products and producers. With an objective to generate global consensus for product sustainability information, the Guidelines aim to address exactly this. They were developed in response to calls for international agreement and guidance on how to convey information on products’ sustainability attributes and performance to consumers and aim to inspire information providers to build upon the valuable efforts already underway, in line with SDG Target 12.8. 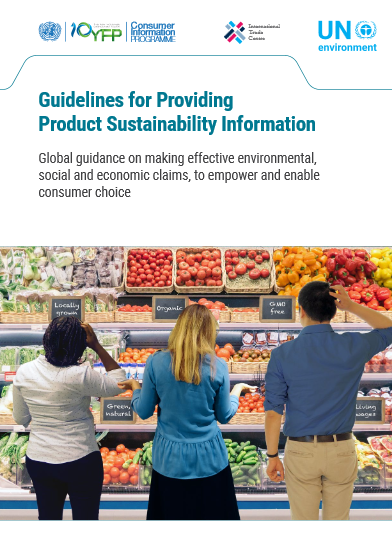 The Guidelines aim to ultimately benefit both the consumer and the producer through outlining how companies can provide quality information to empower sustainable consumption decisions, and also serving as a reference for governments, standard and labelling bodies and NGOs. The Consumer Information Programme with its multi-stakeholder nature provided the ideal framework to develop such Guidelines in an inclusive process. In June 2015, UN Environment and the International Trade Centre formed a working group under the Programme, joined by stakeholders from government, private sector, standard and labelling bodies, and NGOs, who embarked on a two year journey to develop the Guidelines. The considerable support of all working group members in shaping the Guidelines was appreciated during the launch. Specifically the German Federal Ministry for the Environment, Nature Conservation and Building and Nuclear Safety (BMUB) was acknowledged in its role in co-initiating and financially supporting this process. Norma Tregurtha from ISEAL Alliance gave a testimony of a working group member that supported the development of the Guidelines. 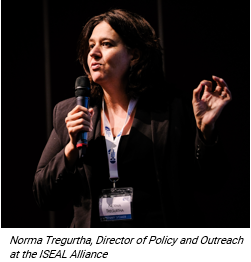 Norma appreciated that UN Environment and ITC did not reinvent the wheel, but built upon existing guidance, such as ISEAL’s challenge the label website. In addition, Norma commended the timeliness of the process and it multi-stakeholder, consensus based nature. Going forward, Norma gave the 10YFP Consumer Information Programme the following recommendations: “Invest as much into promotion of the Guidelines as into their development, measure their impact, and make the link to behaviour change.” The Programme will take these one board as it is moves into its road testing phase. Companies interested in participating in the road testing of the Guidelines for Providing Product Sustainability Information are invited to contact ciscp@un.org. The 10YFP Consumer Information Programme implements and supports projects; undertakes research; identifies and encourages policies; and provides collaboration opportunities for anyone looking to engage and assist consumers in sustainable consumption. The International Trade Centre works towards creating ‘trade impact for good’. ITC’s mission is to foster inclusive and sustainable economic development, and contribute to achieving the United Nations Global Goals for Sustainable Development. The World Resources Forum 2017: on ‘Accelerating the Resource Revolution’ took place from 24 to 25 October 2017 in Geneva, Switzerland. The search cost for product information can be overwhelming for consumers - many of us can well relate to the cover picture of the Guidelines.